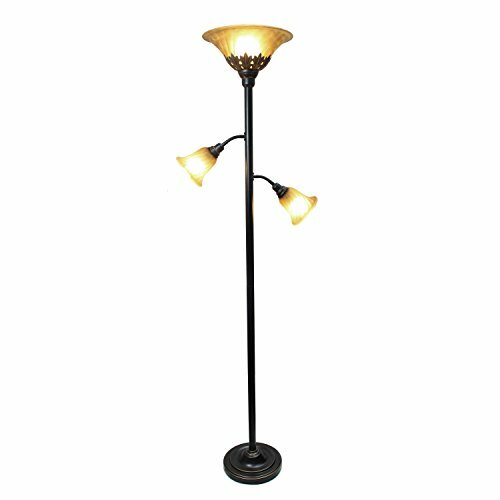 Light up your bedroom, office, foyer or living room with this elegant yet affordable 3 light floor lamp. It features a stunning Restoration Bronze finish and marbelized Champagne shades with spiraled cut glass to complete the timeless look. If you have any questions about this product by Elegant Designs, contact us by completing and submitting the form below. If you are looking for a specif part number, please include it with your message.